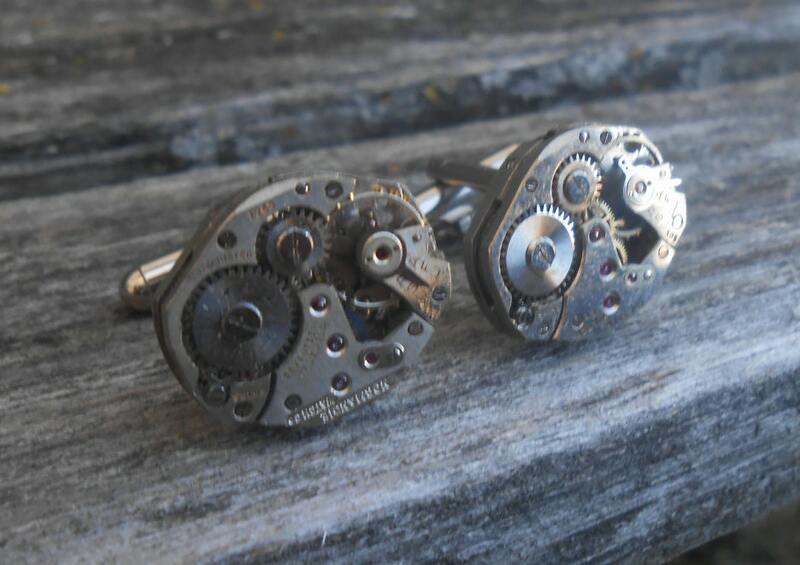 Steampunk WATCH Cufflinks. Wedding, Men, Groom Gift, Dad, Groomsmen. Vintage Watch. 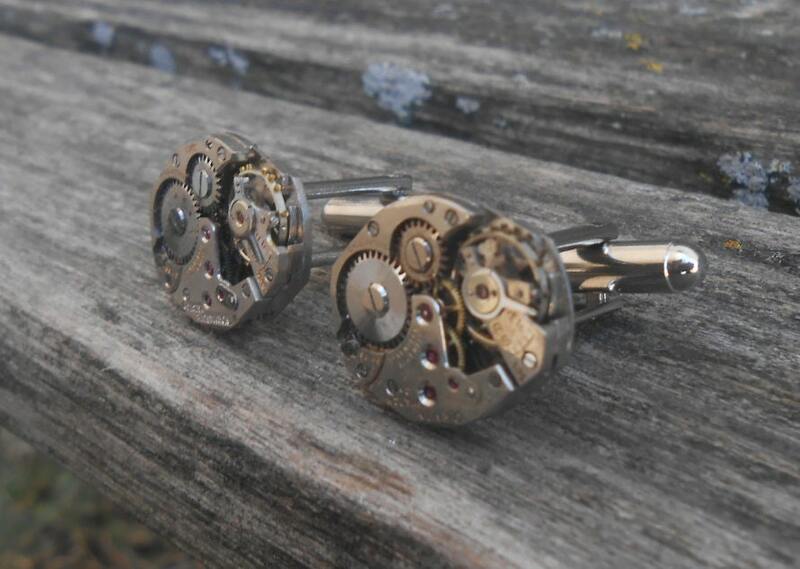 These cufflinks are so awesome! 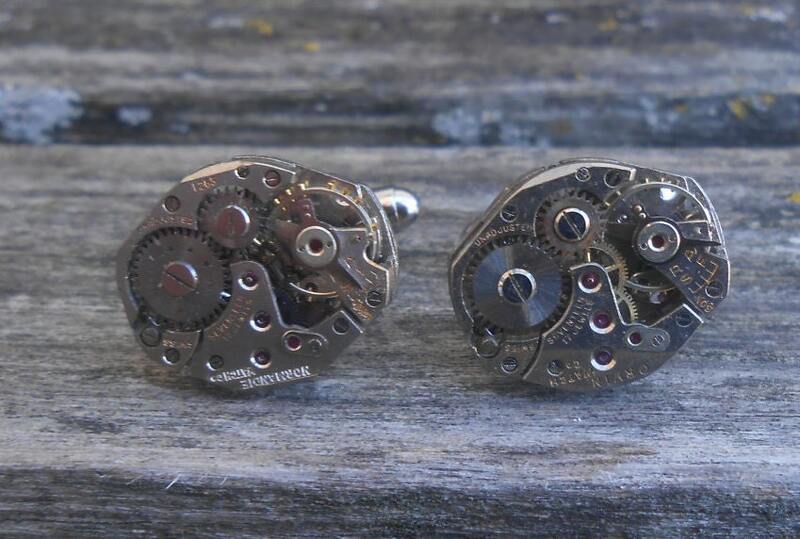 They are made from the mechanical part from the interior of a watch. Both are 17 jewel watches. 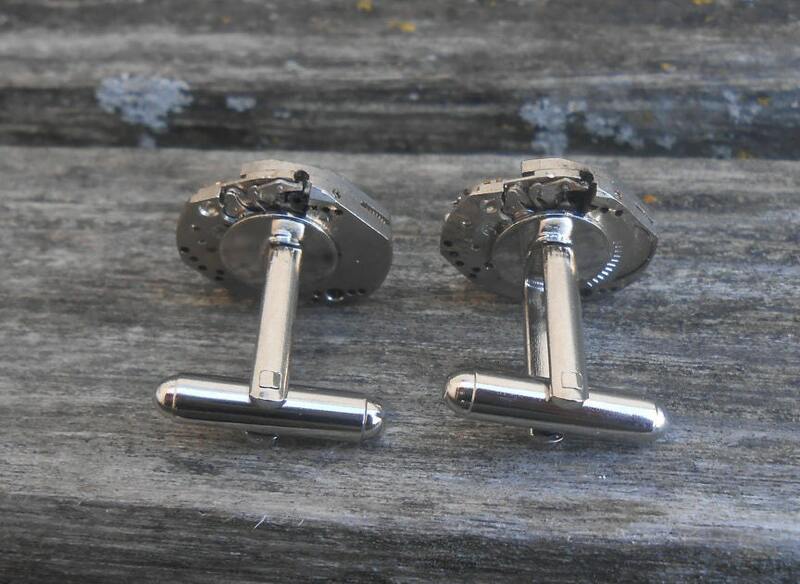 The cufflinks measure 5/8" x 3/4" and are a silver color. These would be a great gift for any time of the year! 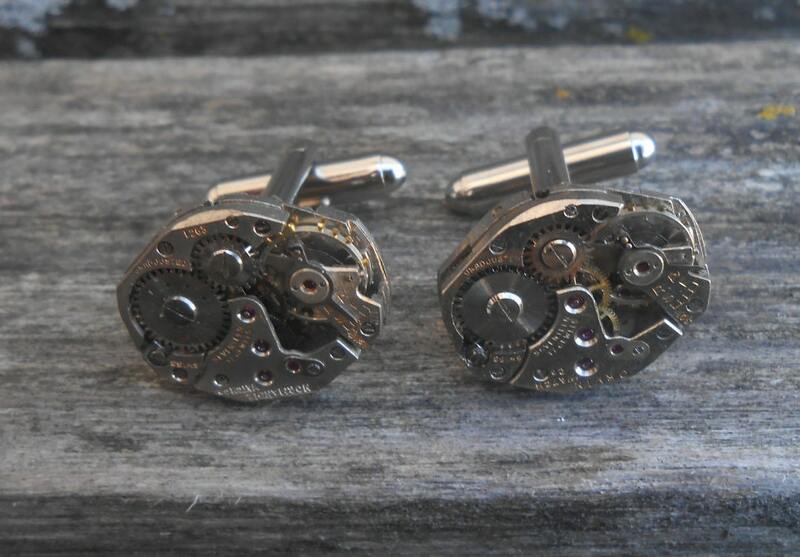 They are wonderful cufflinks for a wedding, an anniversary, for a Valentine's Day gift, for Father's Day, or a birthday. Perfect for groomsmen & dads.